Peacefully at home on Saturday, April 7th, 2018, surrounded by his family, Denis passed away at the age of 86 years. Denis is survived by Gwen, his wife of 59 years, daughter Susan (John Rendell); daughter Sandy (Rob Sinclair); son Rob (Karen Tjaden); and daughter Leah (Jeff Chase). Denis is also survived by 7 grandchildren: Greg Sinclair; Dale Sinclair; Anna Tjaden-McClement; Paul Tjaden-McClement; Katie Tjaden-McClement; Emily Green, and Laura Green. Denis was predeceased by his parents Bob and Elsie McClement, his brother Jim, sisters Shirley, Sheila, Donna, Pat, Lea, and Nora. Denis was born in Souris Manitoba on June 17th, 1931. He was the fifth of eight children. 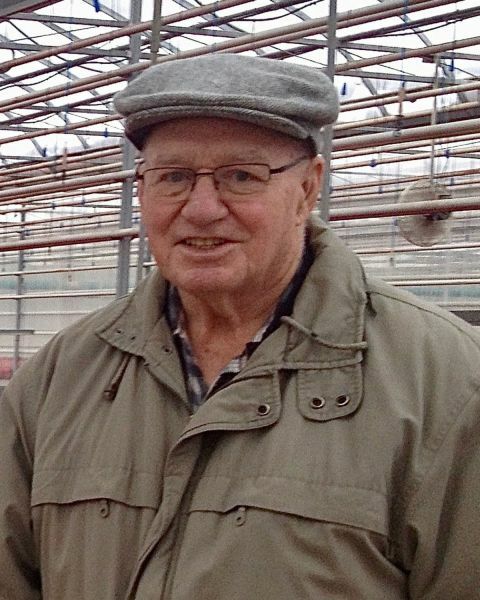 Denis was a progressive farmer, life-long learner, and had endless curiosity about all things new and innovative. He valued hard work, careful planning, and doing things to the best of one’s ability. He was a strong, quiet presence in the lives of his family. He took great pride in the accomplishments of his children and his grandchildren, and his greatest joy was spending time with them. The family wishes to extend heartfelt thanks to Dr. Jose Villeda and the staff at Carman Memorial hospital, and to Dr. Cornie Woelk and the staff of the Palliative Care program at Boundary Trails hospital. The funeral service for Denis will be held Wednesday, April 25th, at 2 p.m. at Carman United Church. A private family interment will precede the service. Deepest sympathy to Gwen and family on the loss of your beloved husband, father, and grandfather. Love and prayers to you! Although I'm unable to attend, I give my heartfelt condolences to Gwen and all members of Denis's family. We will all miss Denis. I was fortunate to spend many good hours with him and he always inspired me to do my best, just as he did. Goodbye old friend. I send my condolences to Gwen and other members of Denis's family. I will miss Denis and the times I spent with him. He taught me many things, especially to do the best I could do, just as he always did. Gwen and family, our thoughts and prayers are with you in the passing of Denis. Condolences to the entire McClement family. The Little family is thinking of you at this time and sending prayers and love. You are all in our thoughts at this sad time. Cherish all the wonderful memories. My heartfelt sympathies to all the McClement family. Denis will be missed terribly. Thinking of you. May you know that prayers of peace and joyful memories of your husband, father, and grand father continue for all of you.